Afro hair loss may be divided into a number of categories. Temporary hair loss, hair shaft defects, hereditary hair loss and self induced hair loss such as traction loss. Hair Loss associated with skin damage and skin disease are also included. The key with any afro hair loss condition is to establish a diagnosis. Then you know what to do. This page may assist. The best advice is always to seek professional advice and never try and self diagnose. Afro Hair like that of Caucasoid and Mongaloid hair types, suffer from most hair loss conditions. Contrary to belief the hair and skin are produced and formed the same as that of Mongaloid and caucasoid hair types. There is always a reason why one loses hair. This website discusses many of these diseases. 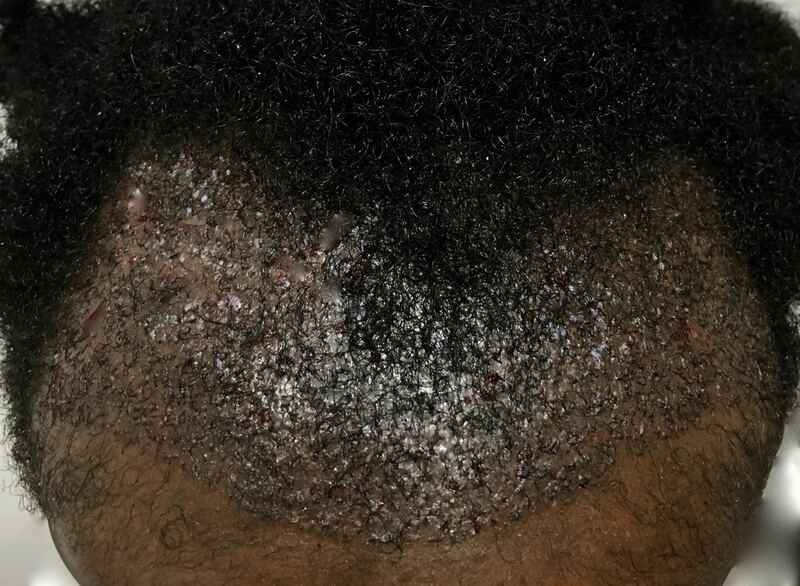 Such diseases as Alopecia Areata, Totalis, Universalis, Lupus, Telogen Effluvium and many more. What should. I do next? If you are worried about an Afro Hair loss condition then you have some choices. You can view our pages which will offer information on the various types of hair loss. Alternatively, give us a ring and speak with a specialist. Why not? its free and may just give you the answers you are after. You can of course arrange a consultation at the Holborn Clinic.Our team of specialists will diagnose the condition and offer you the best solution. There is always a solution whether that be recovering your natural hair or seeking alternative hair coverage. Have a look through this site and you will find a wealth of information on the various hair loss and scalp diseases with some advice. The jump menu above will take you to each of these. Please note that the information is not to self diagnose but to offer a description of each ailment for your perusal. You can speak with a London Trichologist right now at the Holborn Clinic. In many cases we can advise over the phone without the need to see you. This is a Free Telephone Consultation which takes about 15 minutes. If you have any blood test results please have those to hand. We look forward to hearing from you. Of course you can arrange a consultation with a London Trichologist. Here you will be invited into the Holborn Clinic at a convenient time. We will conduct a full examination and discuss your medical history. A full consultation takes around 45 minutes. After which you willl be offered a diagnosis and if appropriate treatment of how to deal with your afro hair loss. Hair Shaft defects – these describe the many hair shaft defects that causes the hair to break prematurely. Many affect Afroid types more that that of Caucasoid or Mongaloid hair types. 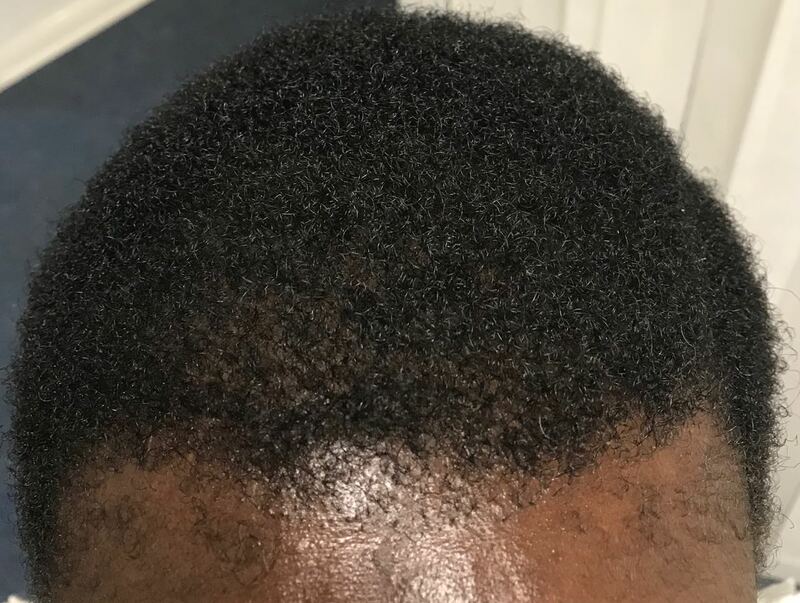 Self induced hair loss or Traction Alopecia – I would say this is the main reason why afro hairpatients attend my clinic. Unfortunately, in many cases it is too late to regrow your hair also in some cases we can assist a natural regrowth. However, there is a simple solution that in most cases will give you back your hair. Hair Surgery is becoming widely used amongst the afro hair community. Afro Female aged 36 before and after the surgical procedure to replace the hair at the frontal hair line. The hair in Afro cases tends to take a little longer to grow. Normally anytime after 3 months the results will start to show. Hair surgery men – a system of permanently transferring hair from a donor site to that where hair is required. FUE hair surgery will allow the afro male to continue to have a very short hair style as there is virtually no scaring. Go to the hair surgery page for further information. alternatively, why don’t you arrange a free consultation. We will take you through the process and answer any questions you may have. Women’s hair surgery – more and more women are having hair surgery. If you are a suitable candidate you will be able to transfer hair from a donor site (back of the head where hair is plentiful) to the affected regions. This is permanent and the hair will grow quite normally. why not give us a call or arrange a free consultation. You might be pleasantly surprised. Why is afro hair so weak? The hair follicle structure produces a ribbon shaped hair. The cuticle is likely to be much thinner is places causing the hair shaft to be weaker than that of caucasoid (white skinned) and mongoloid (asian skin) types. The cortex becomes exposed and breaks when over processed. The vast majority of afro hair type patients that I see presently have or have had one of a number of common hair styles i.e. relaxed, straightened with irons, cane rows, plaits, dreadlocks etc. The vast majority of these will lead to hair breakage or hairloss. Male Pattern Baldness / Hereditary hair loss / Female Pattern Baldness – a permanent hair loss condition that in most cases cannot be reversed contrary to common belief. However, hair surgery tends to be the only answer. Including other hair styles designed to keep the hair manageable are a major cause of hairloss in afro hair types. Subjecting your hair to sufficient tension will in time lead to hair loss which may be permanent. The need to keep up with fashion and trends lead to more and more patients suffering from such hairloss problems. I feel that hairstylists should be fully explaining the potential damage that they may cause and you as the patient should demand a test on the hair each time it is performed. 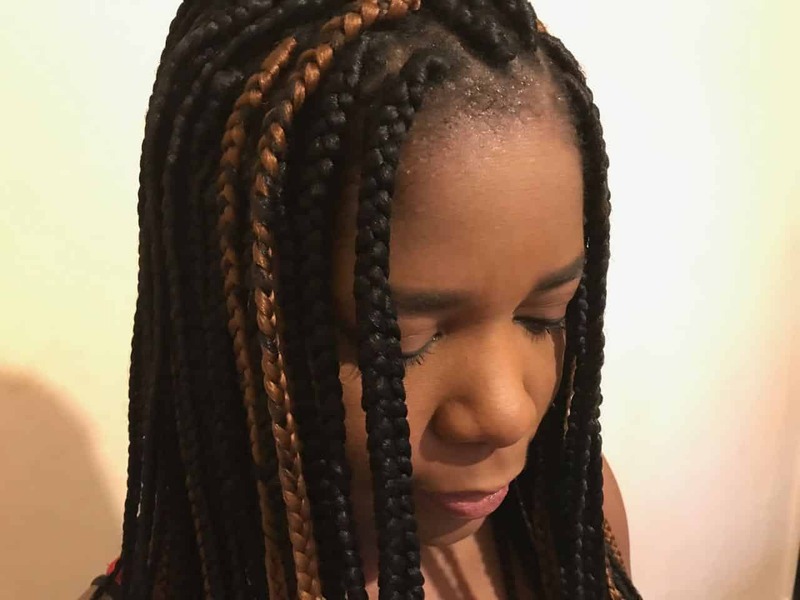 Can I get help for traction Alopecia? This is a difficult question to answer without seeing the patient. It is very much dependent on the severity, how long the hair loss has been apparent and whether there is hair still growing but perhaps not as thick as the rest of the scalp hair. Unfortunately many cases are beyond help. However, you should seek professional advice if you are concerned. There are many Afro hair loss conditions that co exist with itchy scalp ailments. An itchy scalp may well be the cause of the hair loss. If you are suffering from an itchy scalp or both hair loss and an itchy scalp we can help. Give us a ring and arrange a free consultation. Don’t forget you can speak with a London trichologist right now on the phone. You can also arrange a free telephone consultation by ringing the advice line.